Getting audio and video files onto your iPhone and iPad has always been a nice and simple affair, but only if the files in question happen to be of particular file types. If the files you are trying to upload to your iOS device have been blessed by Apple then you’re laughing, but unfortunately many people use files that aren’t, which usually means lots of re-encoding and general messing around in order to make things happen. But not with a new app called WALTR. 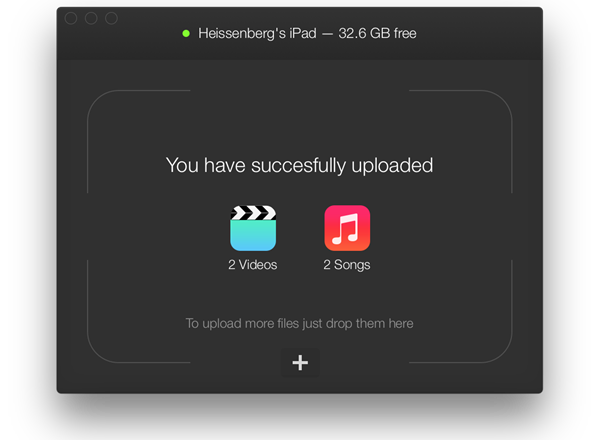 It lets you transfer any video and audio file format to your iPhone or iPad without having to use iTunes, or any file format converter, oh and there is no jailbreak required either. 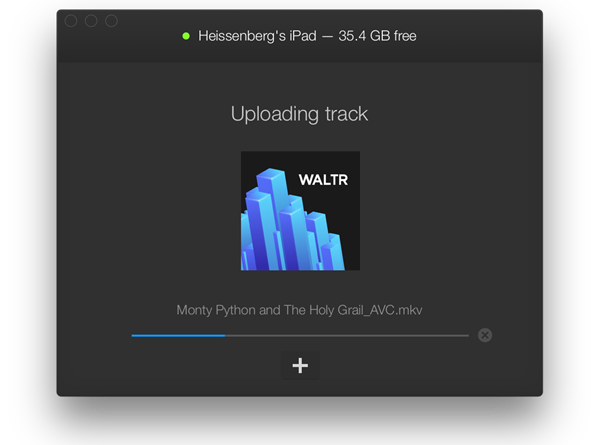 Put together by the folks at Softorino, WALTR is a converter and uploader in one, with the app not just getting the files onto your iPhone or iPad with the minimum of fuss but also making them playable in the stock iOS media apps such as Videos and Music. This has the benefit of meaning all of your media is where it should be rather than having to hop between apps just to watch or listen to your content. Supported file types include MP3, MP4, AVI, CUE, WMA, M4R, AAC, M4V, M4A, FLAC, ALAC, and MKV with many of those not natively supported by iOS. With WALTR, that simply doesn’t matter. Getting the ball rolling couldn’t be any easier. 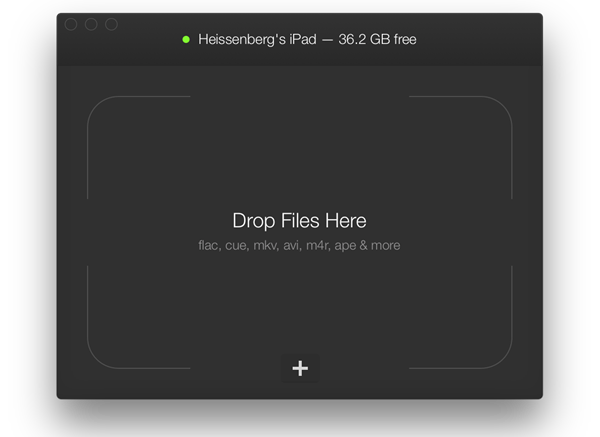 Simply drag the file in question onto the WALTR landing window and watch as the app does the rest – including the automatic conversion of the file in the right format and transferring to your iOS device. You’ll need to have your iPhone or iPad connected via USB and have iTunes closed for WALTR to work, but that’s no hardship – especially when you factor in the time savings WALTR allows. 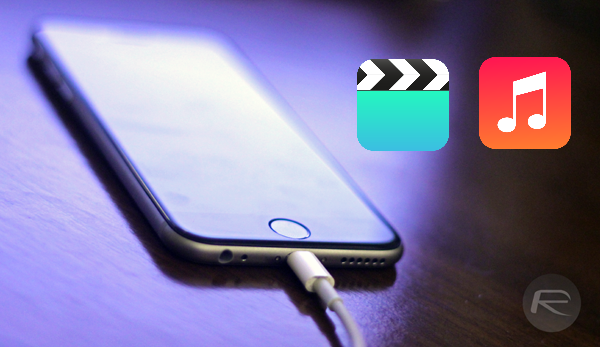 Once done, you will be able to play them right in the stock Videos and Music apps on your iPhone or iPad. It’s that easy! WALTR is currently available at the discounted price of $14.97, and if you’d like to give it a try before putting your hand in your pocket then you’ll be pleased to learn that a trial version is indeed available for evaluation, but we suspect you’ll have your credit card in hand quicker than you may think – especially if you find yourself moving media around often. You can download WALTR from softorino.com/waltr. Horrible advice. Converting takes time. Buy Infuse and just be done with it. Wireless syncing, full codec support etc. It even offers subtitle download. on paper this seems like an excellent idea. but not for $14. the problem with transferring to ios is the conversion process. even if you format your file to mov, h264, mpeg, it doesn’t matter, some conversion has to take place. why pay $14 if i still have to convert, when i can do the same thing for free with iTunes and HandBrake? Add the supported platform in the title. Read the whole article only to find out its for Mac at the end. It’s free & easy to use. Why wouldn’t you just use VLC it is free and uses all the same file formats. What is a good, easy prog to use on a pc.. That will do same as this please? Drop, convert and copy to device and can be played in native iOS app if poss? Transcoding is for tards. Use NPlayer to play any media either from local storage or your network. On Windows, I like iTools as a drag and drop file manager, but it’s hard to find the English version. SyncIOS is another good one, but the App documents folder interface is not quite as easy to access. IFunbox has become so ad-riddled it’s unbearable. There isn’t any good software from the Mac (the usual story) but you can get by with iFunbox. It’s still better than having to suffer the indignation that is iTunes. VLC can’t read from a network share! Actuality you can upload files to VLC from any computer by inputting the IP address of your iPad/iPhone in a browser and dragging the file you want on the device there. Does not work w Yosemite? Great software! All other apps were hanging after copying file or required to restore iPad even before moving videos but this worked like charm! Respect! I cannot agree more that it is a good tool. To be frank, I have known many tools which can transfer videos/movies, The best ones I believe is this one and Apowersoft Phone Manager. There are now only a few tools works for Yosemits. As fa as I know most ways only works for Windows, just like the ways mentioned on this tutorial or Apowersoft Phone Manager. Anyway, if you run with windonws, it works well. Yeaaa, definitely! !The best app ever!Easy and quick!! Vlc absolutely reads from a network share. I use it on my movies stored on my NAS. It’s a nice program, but not as pro as some 3rd party software like Dr.Fone or FonePaw iOS Transfer which are popular. This kind of data manage tool just work like a Android phone, you can easily transfer your videos, audios, photos, contacts etc without iTunes. However, you need to pay if you want some further functions.